When the world learned that Jay Z would be creating a subscription-only based music app, people weren't necessarily leaping on board to join. With apps like Spotify pretty much dominating the market, it was difficult to ascertain whether or not Tidal was worth the purchase. But once the self-professed "baddest woman in the game" Beyoncé exclusively released her newest album — and visual album counterpart — Lemonade on the app this past weekend (before it hit iTunes and Amazon), Tidal's popularity shot right up. However, it didn't come without some push and pull from the fans that interpreted Lemonade as a declaration of Jay Z's alleged infidelities. (Bustle has reached out to Beyoncé and Jay Z regarding the divorce and cheating allegations, but has yet to hear back.) Supporting an app that fills the pockets of the man who could allegedly be responsible for Bey's possibly real pain felt too laden with irony for some die-hard fans to stomach — though they might have done so anyway. And can you blame them? Can we blame ourselves? Cognitive dissonance — or "thought conflict" — is a psychological theory that proposes how people make their way back to emotional equilibrium after they are faced with inconsistent beliefs. You might have experienced it after you subscribed to Tidal (or continued to subscribe to it) following Lemonade. When you — like many — took Bey's question at the beginning of the visual album ("Are you cheating on me?") to her declaration in "Sorry" ("He better call Becky with the good hair") and formed an opinion and theory based on them: An opinion and theory that claimed Jay Z cheated on his wife. At that point, the $9.99/month you signed off on paying might have started to feel a little heavy in your pocket. Whether or not the story expressed in Lemonade has any basis in reality, the rumor is inescapable. Before Lemonade became available on iTunes and Amazon April 25, you could only listen to the album on Tidal — which meant that the Beyhive and newly converted fans who weren't already part of the service were likely hitting that "subscribe" button faster than they could even finish the first song. As twisted fate would have it, this made the response to Lemonade all the more convoluted. Lemonade, which was being interpreted as an alleged declaration of Jay Z's could-be unfaithfulness to his wife, was only made available on the app created by the possible cause Bey's alleged suffering? How did fans reconcile their desire to stream Lemonade — an amalgamation of genres, spoken word, female empowerment, a synthesis of magic and art that so undoubtedly deserved downloads — when they we're wondering if Jay Z actually wronged Bey? And if they showed the app support by subscribing (thus, upping its value) before Lemonade was made available elsewhere, would the damage already be done? Here's one thing that might make you feel a little better if you already subscribed to the app: Beyoncé owns part of Tidal too. We don't know how much Jay Z was directly involved in Bey's creative process, and it's possible that we'll never get the answers. All the people who made memes and tweets joking about Jay Z stumbling upon this public declaration of his alleged infidelity must have skipped over the latter half of the special, though, which is key in proving that Beyoncé holds the power here: Jay Z made an appearance in the visual album about two-thirds of the way in, during the emotional, weighty love ballad "Sandcastles." In it, there he was — literally at her feet. If that doesn't tell you who's really running the show, I'm not sure what will. 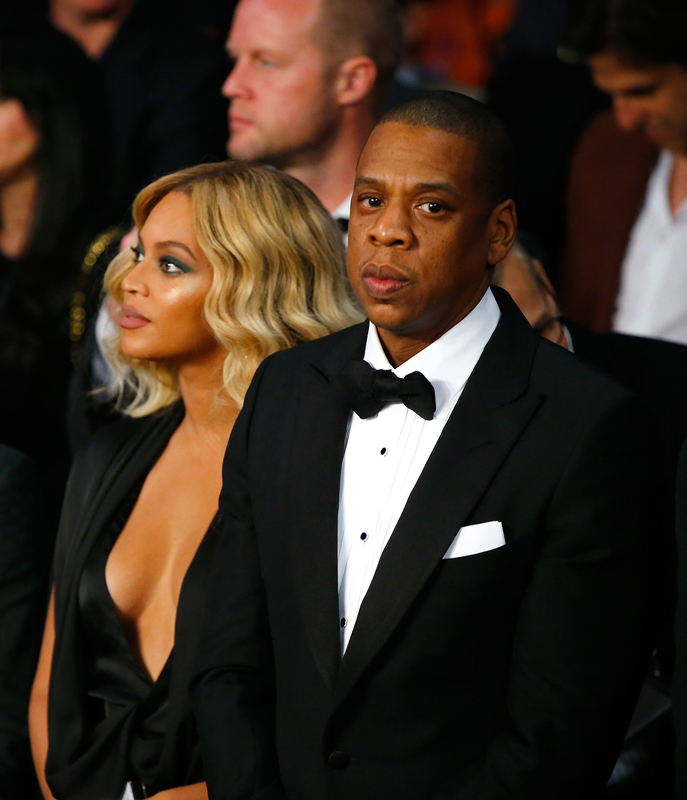 We don't know much about Beyoncé and Jay Z; they're a remarkably private pair. So the chances of us ever reaching a conclusion that either alleviates or confirms our suspicion about Jay Z right now are slim to none. However, let us never forget that this is Beyoncé we're dealing with. She wouldn't have put this content out into the world if she wasn't comfortable with the conclusions people were going to draw following its release. In that same vein, she wouldn't have put it on Tidal if it wasn't a good business decision for her — and for her family. In the end, by logging on to Tidal for some Lemonade, you are actually only supporting her. The final message in Lemonade is, after all, a signalization of hope and reform. By the conclusion, Bey seems to have forgiven whatever wrongs may or may not have been committed against her. In putting her content on Tidal, she asked us to do so, too. So for those of you who are reeling from the cognitive dissonance of showing Tidal your support, I've only one thing to say: Trust the Queen. She's not led you wrong so far, has she? Or — of course — you can just go buy Lemonade on iTunes. Your call.